Historical drama based off the infamous Lizzie Borden case that is also part psychological thriller and includes a forbidden romance. The mood is suitably dark and the performances are reserved yet quietly intense. True stories are always so much better when there is room for speculation. The story of Lizzie Borden has been told and re-told through books and film with plenty of theories put forth. What is known is that on August 4, 1892, Lizzie's father and step-mother were brutally murdered, with an axe being the weapon of choice. Following a sensational trial, with Lizzie as the main suspect, she was ultimately acquitted, though the reputation she garnered stayed with her for the rest of her life. No posts have been made on this movie yet. 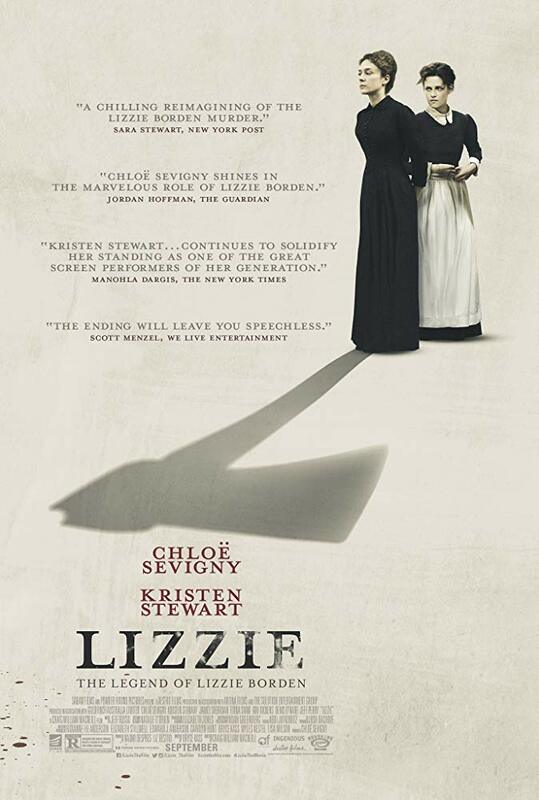 Be the first to start talking about Lizzie!